Noelle Weaver, a junior from Sun Valley, Idaho, has always had a passion for the arts. As a child, she aspired to be an art teacher and share her love of creating with children. She has since moved on from that dream, but her love of the arts has not dwindled. 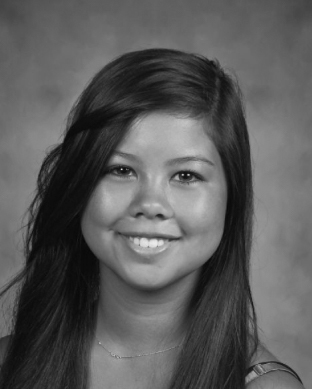 Noelle was introduced to ceramics and sculpting via an Intro to Ceramics class she took in middle school. During her freshman year she completed Ceramics I and II, and her sophomore year she took Ceramics III and did an Independent Study in ceramics. Needless to say, Noelle is a very dedicated and talented ceramics student. Regarding her creative process, she explained that she almost never begins a piece knowing exactly what she will create. Noelle starts her pieces by pretending that they are throwaways, that way she can escape the pressure and enjoy what she does. Listening to music, Noelle lets the clay take form. Another method Noelle uses is improvement; she critiques a piece she previously made and challenges herself to improve it. That is the case with the ram’s skull pictured. 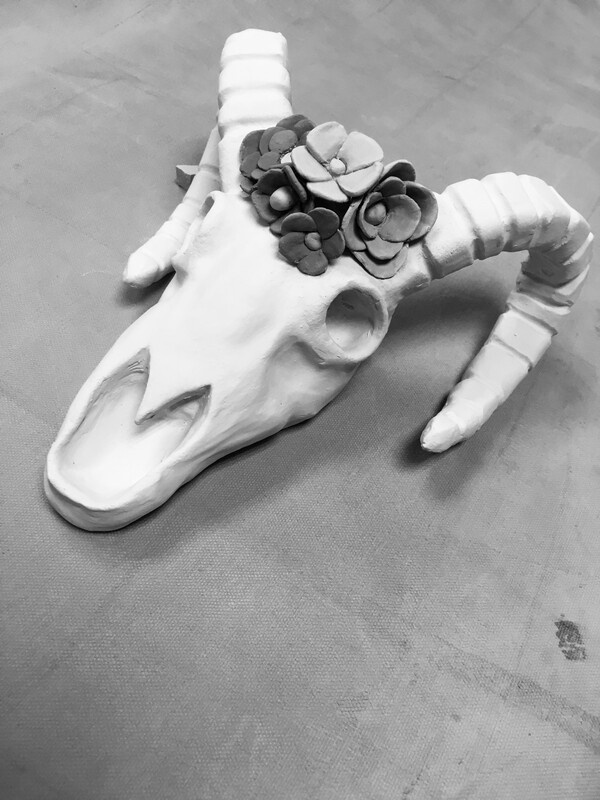 Her freshman year, Noelle created a fist-sized skull that was very light and austere. With this skull, she wanted to challenge herself to create a heavy, detailed piece of artwork. The result is a beautifully detailed animal skull with bright flowers adorning its crown. Although Noelle admits that she mainly dresses in black and various dark colors, the colors of her artwork are bold and vivid because she enjoys the energy they exude. While she will most likely not pursue a career in ceramics, she sees it being a life-long hobby and will sculpt, pinch and paint to relieve stress and create art.